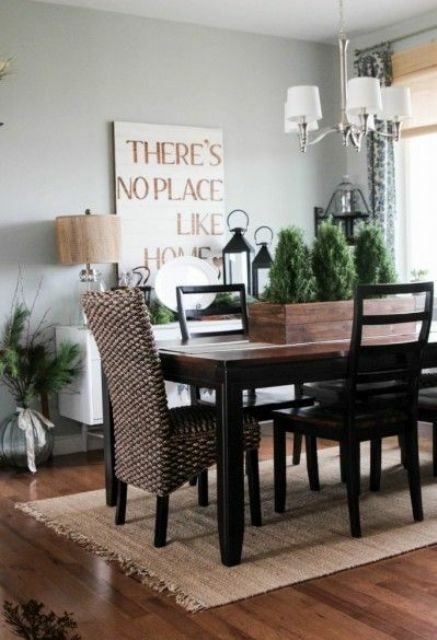 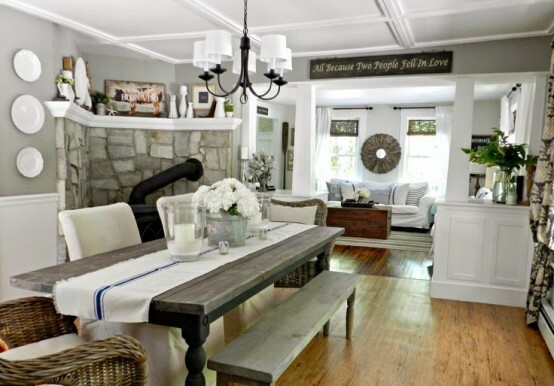 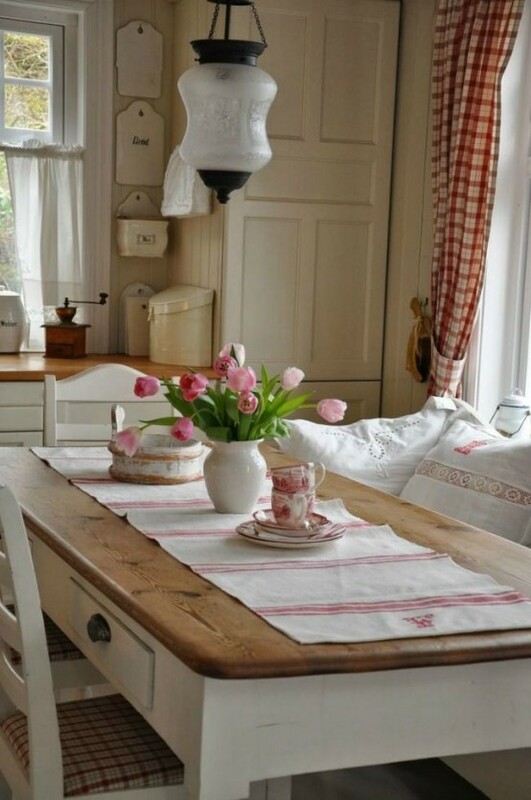 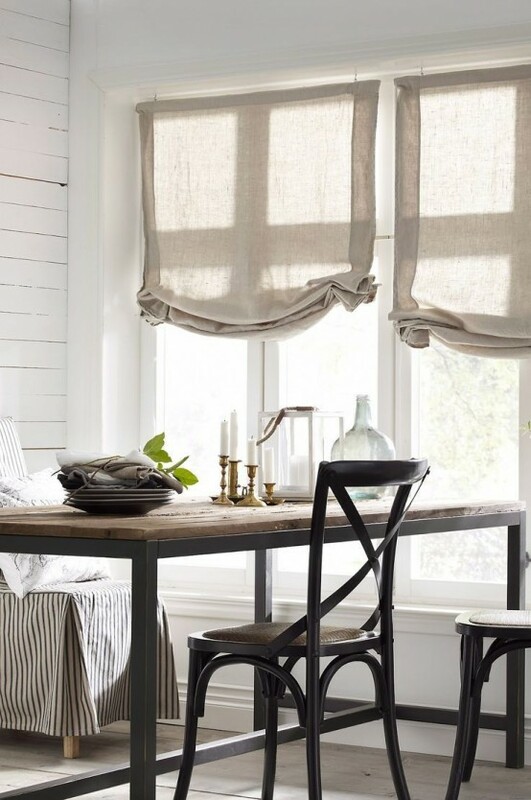 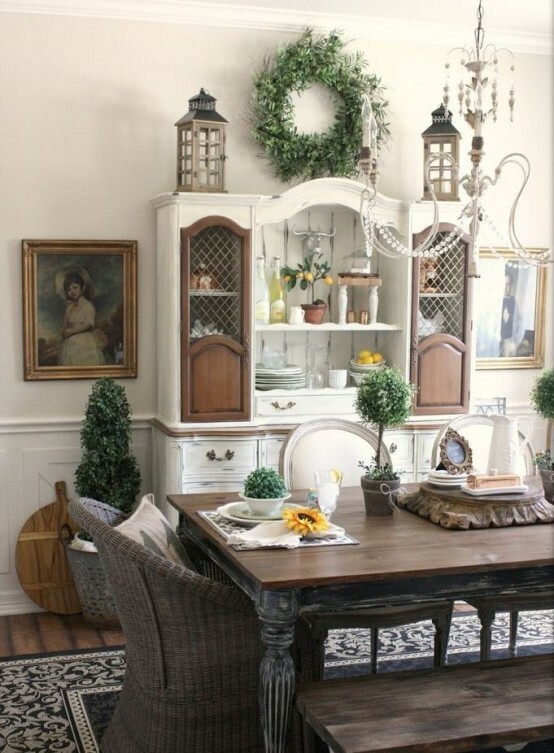 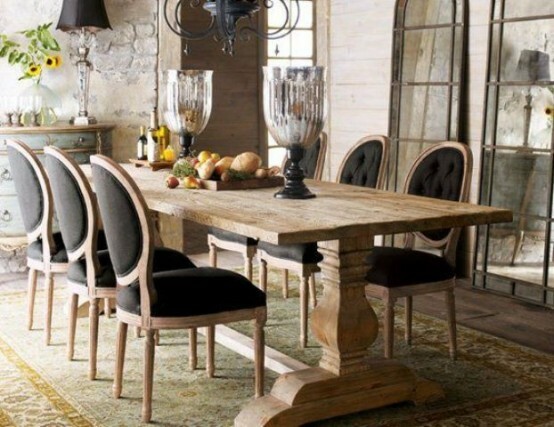 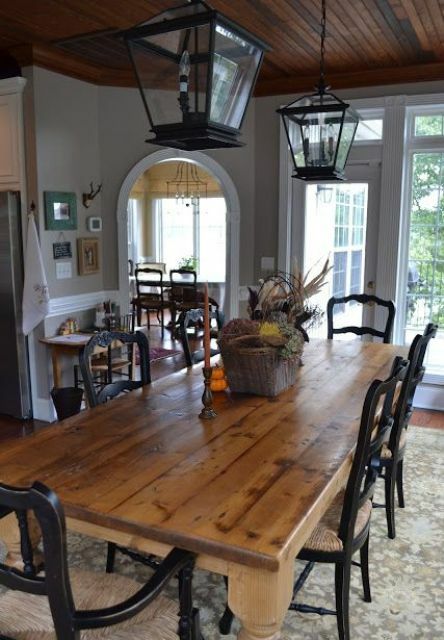 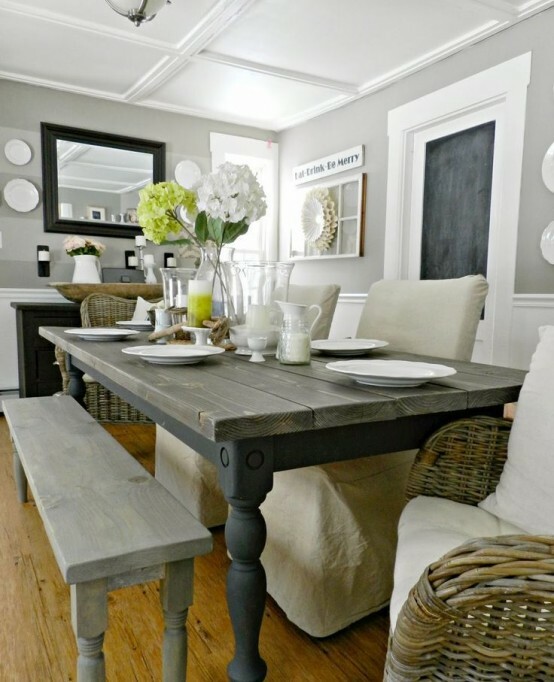 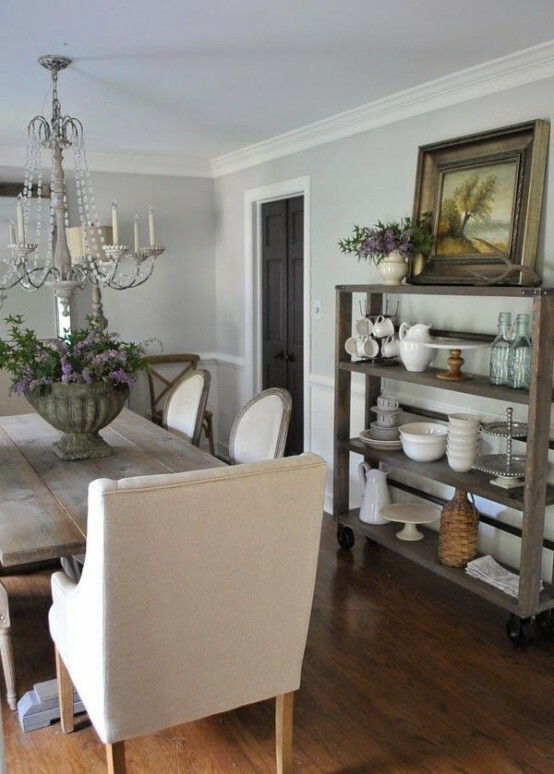 We continue sharing the coziest farmhouse décor ideas with you, and today’s article is all about dining rooms or dining zones as not everyone wants a separate dining room. 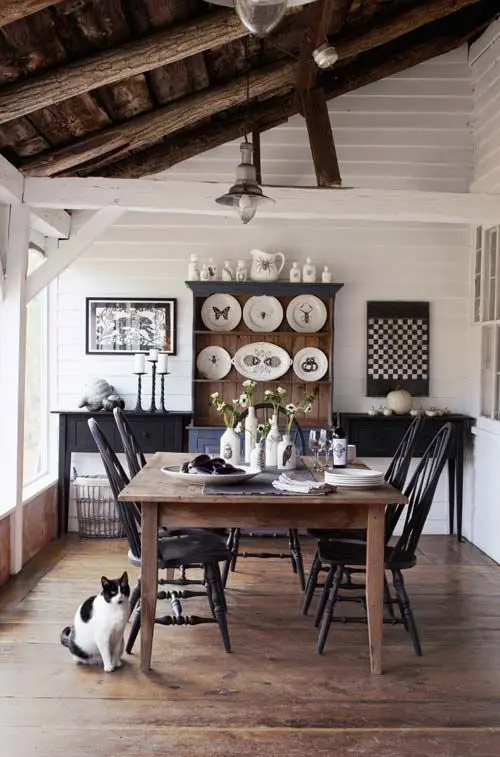 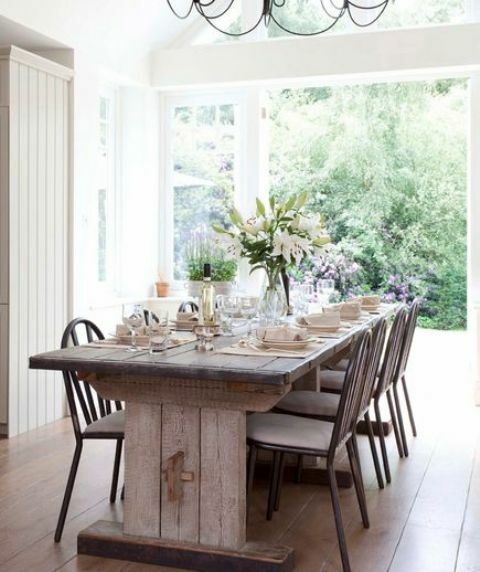 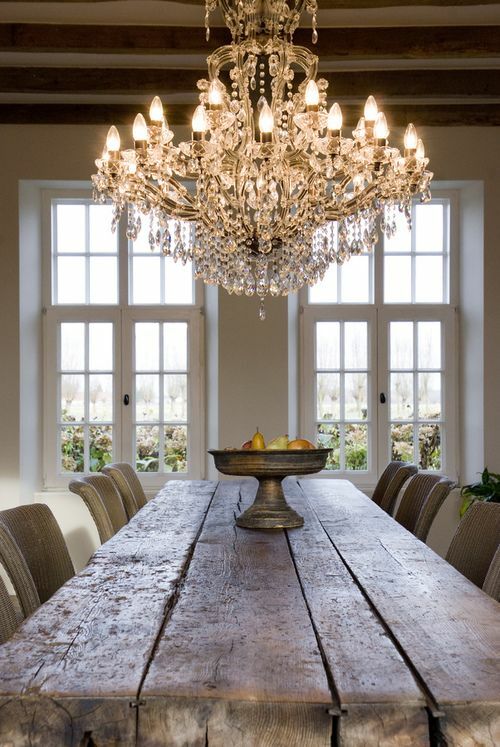 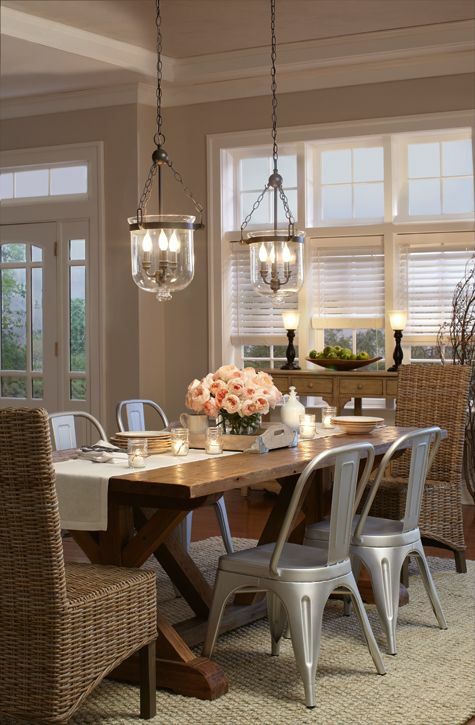 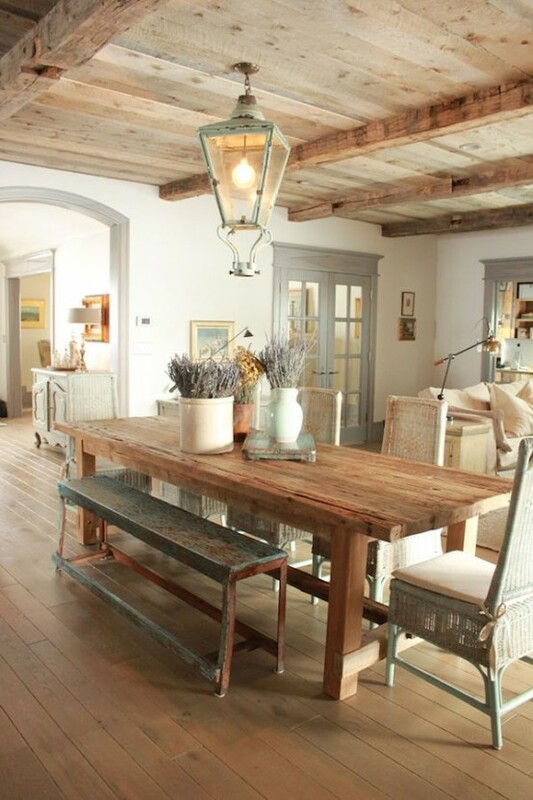 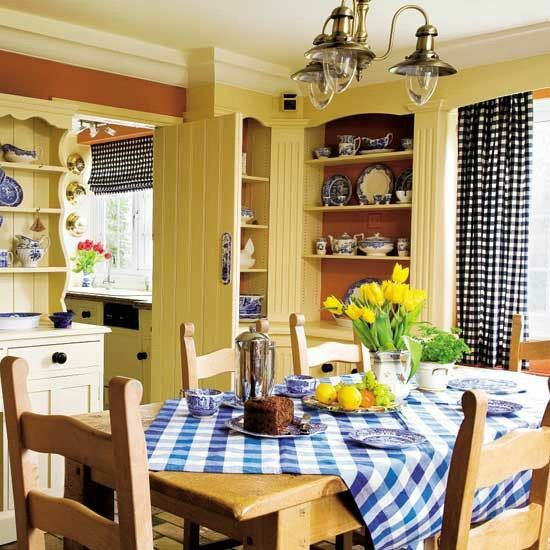 Your dining room can continue the farmhouse kitchen design with a rustic dining table, wicker chairs, cozy lights above the table and blinds on the windows. 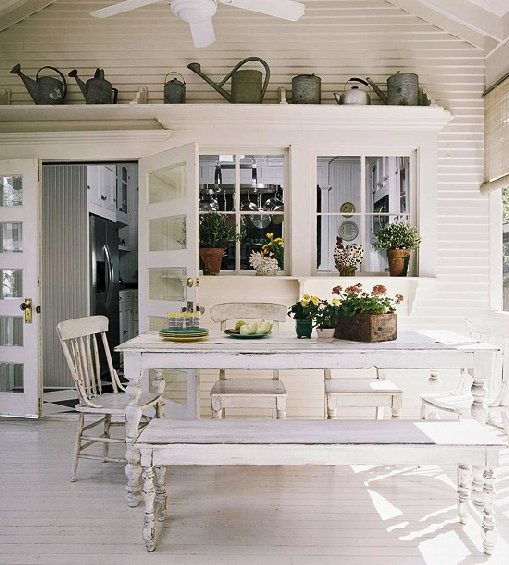 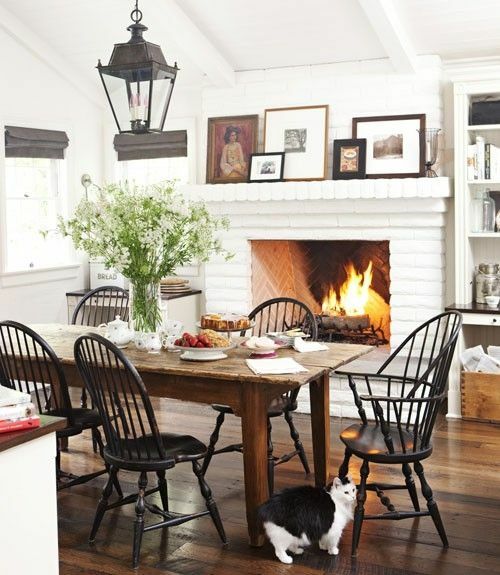 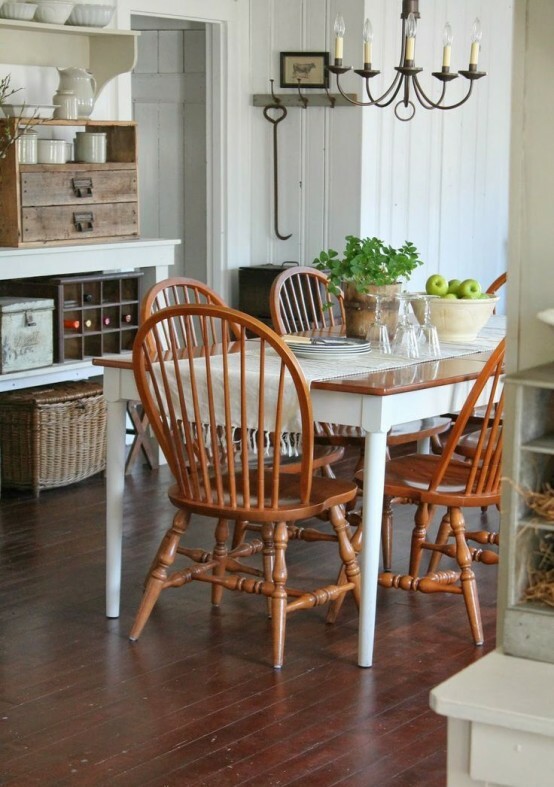 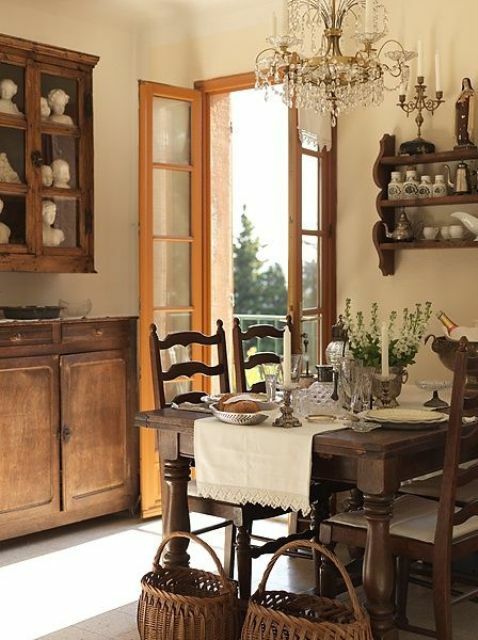 A vintage cupboard, a wooden bench and a fireplace if there is one will give your décor a sparkle. 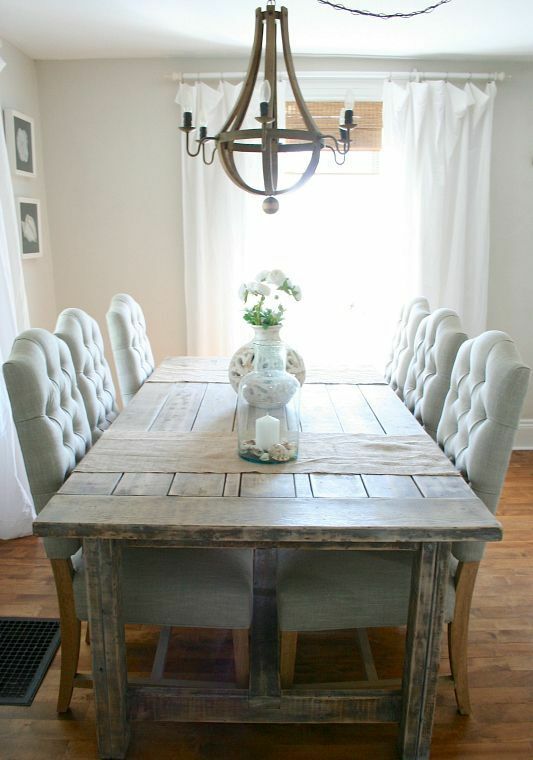 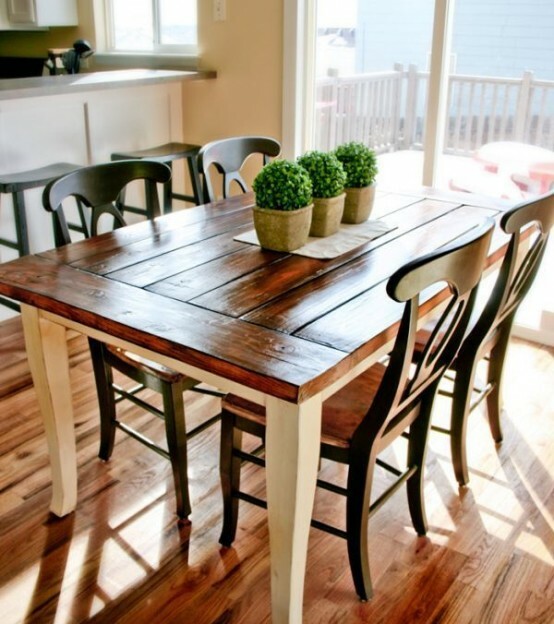 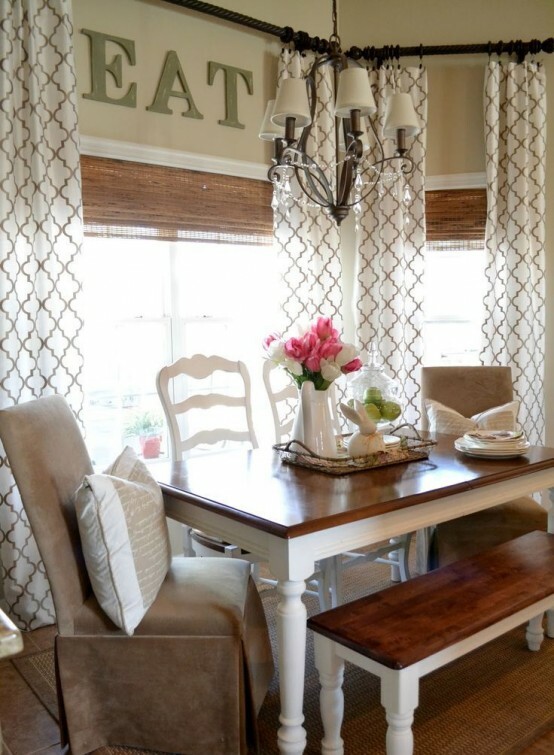 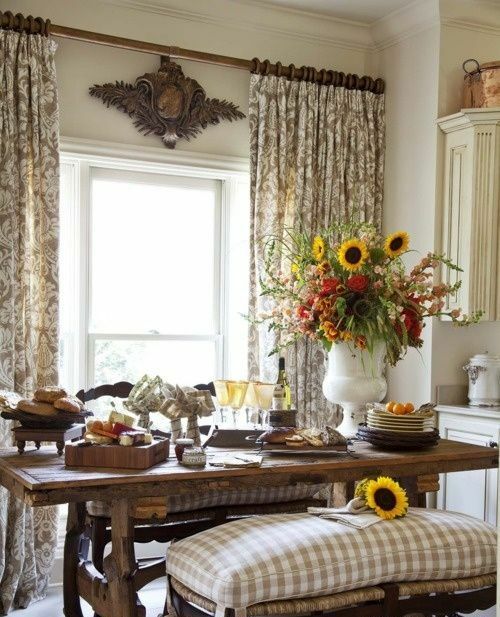 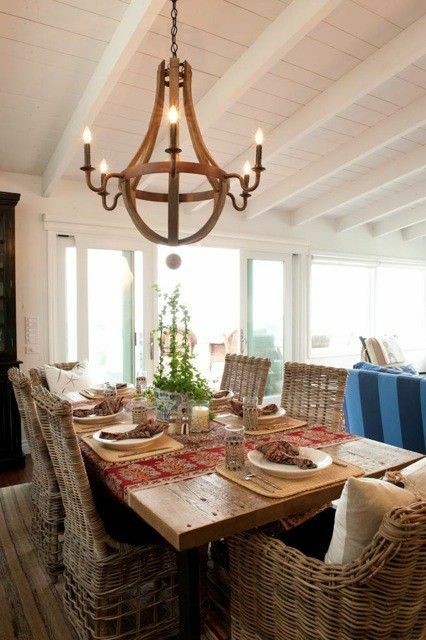 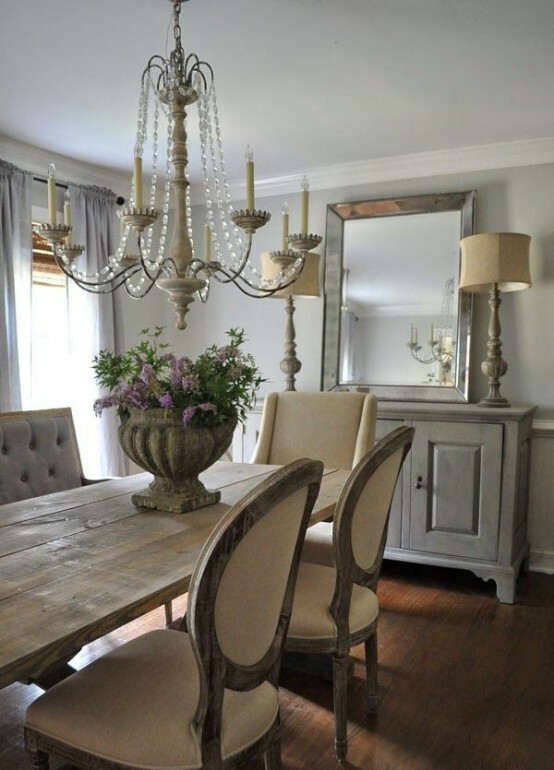 Add a burlap table runner, a just rug, checked or floral textiles and voila! 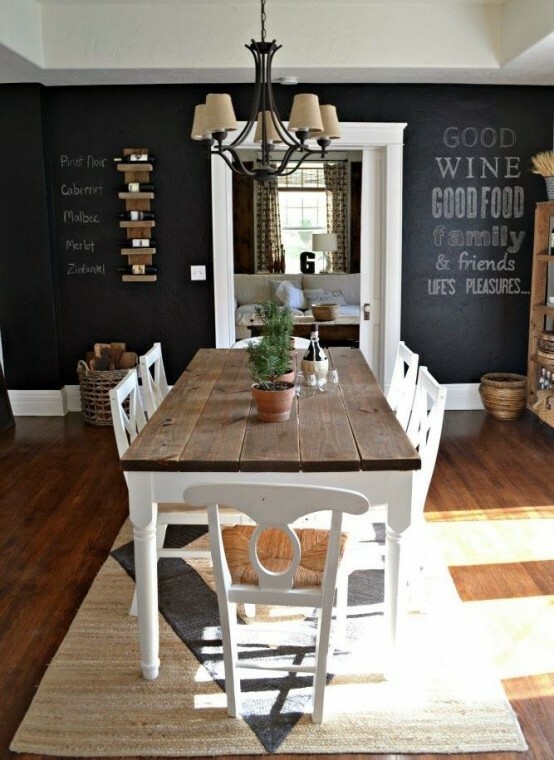 The great point here is that you can DIY lots of things: furniture, rugs or textiles – you can create exactly what you want for cheap! 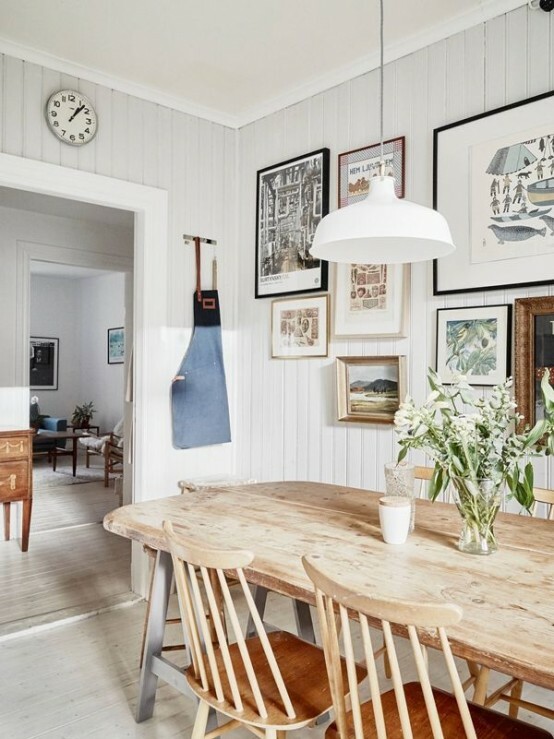 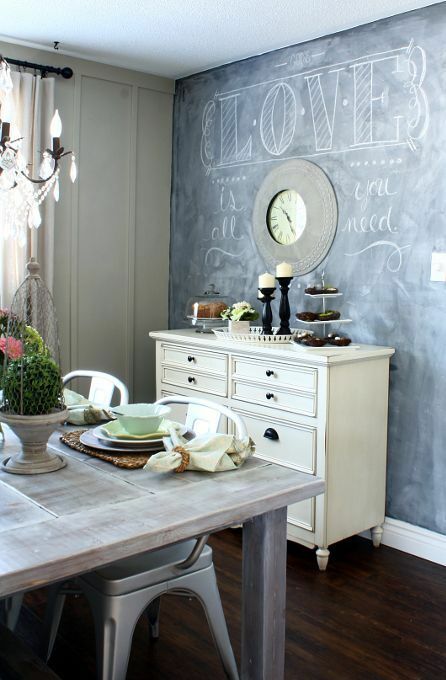 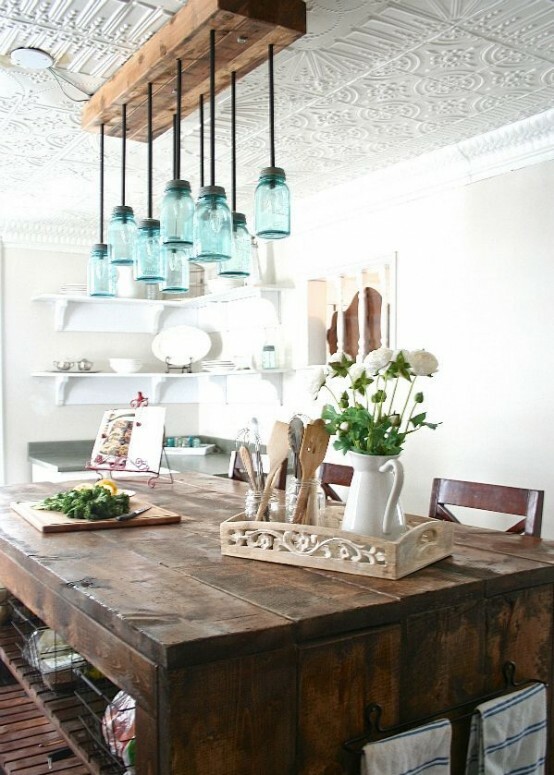 Get inspired by the cool examples below and go decorating!